The New Zealand Will Kit. A complete guide to writing your own legal Will. Young or old, married or single we all need a Will. 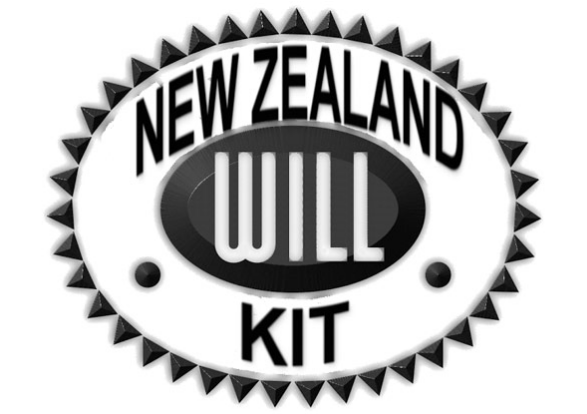 With the New Zealand Will Kit, you can write your own Will easily and quickly. It really is easy to do. The New Zealand Will Kit is designed to be easy to use. Each clause on the Will form is numbered and there are detailed instructions for each clause. The Will Form contained in each kit is an original New Zealand Will form. Accompanied with the Step by Step guide and is 'Fill in the Blanks' style. Written in layman's terms, the New Zealand Will Kit is very easy to understand. 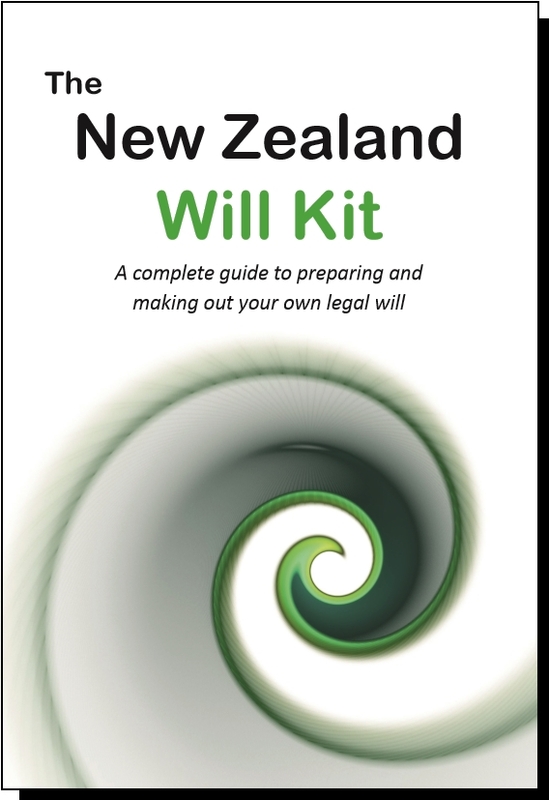 With the New Zealand Will Kit each person needs to do their own will, so if you're married you will need one each. Once you've finished writing your Will, you'll need to date and sign the Will Form in front of two witnesses (the process is explained in detail in the kit). The Witnesses can be anyone over 18 years of age, as long as they are not a beneficiary of the Will or the partner of a beneficiary. There is no need to take the Will to anyone special like a J.P. or bank manager. With 48 pages of information, the New Zealand Will Kit is very comprehensive, and includes all the following topics and many more chapters of very useful information. The Will form is fill in the blanks style. Each clause is individually numbered with instructions for each clause. Example completed Will designed to help guide you through. Checklist for your Executor - a very handy checklist to help your Executor when executing the Will. 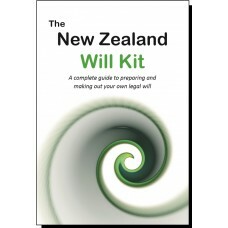 The New Zealand Will Kit is comprehensive and excellent value for money. Writing a Will correctly is important for your family and their future. Order online today. The New Zealand Will Kit will be dispatched through international post and delivery time is estimated at 7-10 business days*. We make every effort to dispatch your order as soon as possible to keep delivery times to a minimum. Express Post is available and ensures dispatch the same day** and expected delivery time is 3-4 business days* between major metro areas. Ordering online is simple, easy and efficient. We are pleased to provide this service to you. The New Zealand Will Kit for 1 person is $49.95 + $9.95 Postage and Handling. All prices & charges in NZ Dollars. * Estimated delivery time to metro areas of major cities. Excludes any time in customs and delays due to reasons outside of New Zealand Post’s control. ** providing your order is received on a business day and before 2:00pm AEST, after this time dispatch will be the next business day.